While it was necessary, ten or even five years ago, to advocate the case of Open Access, today this would be preaching to the choir in the academic community. The most striking illustration of this is the statement Moving Forwards on Open Access: the League of Europan Researach Universities (LERU) calls upon all universities, research institutes, research funders and researchers to sign this statement and give a clear signal towards the European Commission and the Dutch EU Presidency: ‘Christmas is over. Research funding should go to research, not to publishers! The question why open access has not yet become standard practice in spite of this can be easily answered. The traditional business model of the major academic publishers is based upon the exploitation of intellectual property. This model is far more profitable than the open access model, which presupposes a service-driven market. The established publishing industry has, until now, managed to successfully oppose any changes to this financial system. But developments like those in Britain, where publishing in open access was recently ruled mandatory by law, and the letter that state secretary Sander Dekker addressed to the House of Representatives of the Netherlands in November 2013, which detailed similar plans, have caused a paradigm shift even among publishers. Out of necessity they are now beginning to take a more positive view on open access, provided that their income is not affected negatively by it. The projects I work on with various academic institutions, funders of science and publishers on projects are primarily aimed at making sure that the quality of academic publications is guaranteed, and avoiding that the costs of dissemination of research rise further in the transition process to Open Access publishing. Despite my particularly Dutch name, Saskia – like the first wife of Rembrandt - de Vries – the Friesian tribe from the north of the Netherlands, I have an international background. I was born in Washington DC and grew up in London, Warnsveld and Brussels. My first real working experience was as a teacher of Dutch language and literature, but I soon joined HES Publishers in Utrecht as a jack of all trades. In 1985, I switched to Martinus Nijhoff Publishers (part of the Wolters Kluwer concern). In the summer of 1992, the Board of the University of Amsterdam asked me to start up Amsterdam University Press in the Anglo Saxon tradition. In the 20 years that I ran Amsterdam University Press as its first director, it grew into an international, academic publisher with 20 employees in 2012 who were responsible for the approximately 200 books and 9 academic journals that we published a year - 60% of them in English. Amsterdam University Press was coordinator of the EU project Open Access Publishing in European Networks (www.oapen.org) from 2009 till 2012. Thanks to this European project, AUP grew into one of the most innovative university presses in the world, that gives high priority to Open Access publishing. In 2006 I was co-founder and first director of Leiden University Press, which functions as part of the University of Leyden since 2009. I was involved in setting up the Editorial Board of LUP, and in charge of acquisitions and publications for the first years. As business models in the academic publishing world are rapidly changing, and since there seems to be a vast need within academia to explore new ways of disseminating academic research results that are primarily funded with public money, I started my own business in 2012, Sampan – academia & publishing. I work on various projects with the Royal Netherlands Academy of Arts and Sciences, the National Library of the Netherlands, SURF- foundation, the Centre of Science and Technology (CWTS), Linguistics in Open Access, OpenAire and the Open Library of Humanities. The Open Library of Humanities is a UK-based charitable (not-for-profit) company. It operates a successful collective library subsidy model to underwrite open-access publication in the humanities. The goal of its economic model is to ensure that no researcher is individually asked to contribute an Article Processing Charge. In May 2016, OLH has just short of 200 libraries all paying a relatively modest amount into a central fund. This fund is used to cover internal staffing at the OLH and a cost-per-article to a set of vendors who provide our journal platform (currently Ubiquity Press). This works out at around 500 Euros per article or, at our current level of participation, 2.5 Euros per institution per article. As the European Library Partnerships Manager, I am in charge of expanding the library consortium in Europe. We are also working closely with LingOA in expanding the model of fair Open Access to other disciplines. For more information see (www.openlibhums.org). Open access publishing is often said to be the future of academic journals, but the actual move from a subscription model to an open access model is not easily achieved. An important step towards fair open access has recently been taken by a number of editors, along with the Radboud University, resulting in the Linguistics in Open Access foundation (LingOA). The aim of this foundation is to provide a platform for linguistic journals to make the move from the traditional subscription model to an open access one. Several international linguistics journals, including Lingua, Laboratory Phonology and the Journal of Portuguese Linguistics, are currently moving from their traditional publisher to a new open access publisher, along with their entire editorial staff, authors, and peer reviewers. LingOA facilitates this radical move by paying for the Article Processing Charges (APCs) of the articles published in these journals during the next five years. The journals will be published by Ubiquity Press, with the Open Library of Humanities (OLH) as a long-term sustainability partner. OLH, whose platform is also provided by Ubiquity Press, will guarantee the continued publication of the journals associated with LingOA after the first five years through its consortial library funding model. OLH is a charitable organisation dedicated to publishing open access scholarship with no author-facing APCs (www.openlibhums.org). This will provide long-term sustainability for fair open access journals, ensuring that no researcher will ever have to pay for APCs out of their own pocket. Article processing charges (APCs) are low (around 400 euros), transparent, and in proportion to the work carried out by the publisher. I am the project leader of LingOA. After the successful transition of these journals, LingOA hopes to convince the editors of many other prominent linguistics journals to join them. We believe that a successful transition to fair open access can be achieved within a relatively small and close-knit discipline such as linguistics. As such, LingOA hopes to become a model for the transition to fair open access in other disciplines as well. LingOA went public on October 12th, 2015. There has been huge interest in it since then, especially after the complete editorial (6 editors) and advisory board (32 linguists) resigned from their journal Lingua at Elsevier. For more information see (www.lingoa.eu). A new funding initiative was launched by the European Commission in May 2015 to cover the Open Access (OA) publishing costs of publications arising from over 8,000 finished (i.e. post-grant) FP7 projects. At the time of writing, almost a year into the implementation of this FP7 Post-Grant OA Pilot, the initiative is consistently taking up and has already granted nearly 400 funding requests from eligible researchers and projects all across Europe. Funding requests submitted from researchers in Spain and the UK are currently topping the classification of approved funding requests by country, and the biomedical sciences are by far the most frequent research field that funding is being applied for. I am on board through SURF in the Netherlands, especially to help develop the Alternative Pilot for non-apc journals. The question that needs to be answered is how existing infrastructure, in particular university libraries, can be utilized to prevent an escalation of the costs of academic publishing during the transition towards the 'golden' open access model, while simultaneously maintaining their quality control through peer review. The Royal Library, SURF, the Radboud University Library and the KNAW have commissioned me a research into this matter. The conclusion of the research calls for a powerful interruption of the hegemony of the traditional publishers through the creation of (in part, alternative) professional publication options for academics in order to ensure a competitive publication environment. Distribution of the 'total' publishing operation (which is currently concentrated among the traditional publishers) among separate parties – for example, it should be possible for other parties than the publisher to arrange the technical aspects of publishing. In such a network of services and activities every party is compensated according to their contribution. Publishing functions such as the organization of peer review can be allocated to existing infrastructures like university libraries. In this way, a reduction in the costs of publishing can be accomplished. No exclusive transfer of copyright to publishers or journals. Although eventually no single entity will be 'owner of the whole' (akin to the situation in other networks or service chains), there will be a need for coordination at the national level. In the 'Vision from a number of Dutch Stakeholders on the future of academic publishing', that we wrote at the invitation of the EU, we described our approach. Read also 'More ideas from a number of Dutch Stakeholders on the future of academic publishing' and the poster for the OASPA conference 2015. 1. What scenarios are conceivable and desirable in the transition to open access regarding the development of the costs of scientific publishing, and its associated distribution and allocation? 2. How can quality and quality control be organised and secured in different Open Access scenario's? 3. What opportunities and dilemmas will arise as science shares data on a larger scale and makes them more widely available? A worrying development in the open access market is the emergence of predatory journals. The publishers of such journals do collect compensation for a publication, but neglect to provide the corresponding quality control through peer review. The existence of these publishers has created the perception that open access publications are of lower quality. This perception is incorrect as there is an abundance of open access journals for which peer review is a chief focus. But there is certainly a need for an instrument to test the quality of a journal. This instrument is QOAM, which can be accessed at www.qoam.eu. In QOAM, the quality of a journal is judged by the academic community by use of a Journal Score Card. Additionally, information is provided pertaining to the publication fees of the journal. In this way a market emerges. Many academics still transfer their copyrights fully and exclusively to the publisher of their publications. This is inter alia due to the fact that a scientist is so glad to see his or her article or book accepted for publication, especially with the prestigious large, commercial publishers, that she does not care about the conditions under which the results of her research appear. In addition, scientists are not lawyers, and often the texts of the contracts submitted by the publisher are extremely inaccessible and incomprehensible for laymen. Finally, it takes a lot of time and effort for the individual scientist to negotiate with a publisher. Thanks to the transition to Open Access, we are currently witnessing a cultural shift in the field of scientific publishing, in which room is created to centrally ensure that copyrights remain with the person who has done the research: the scientist. We are investigating how to find a central solution in the Netherlands for this undesirable transfer of copyright. We are following the example of the Office for Scholarly Communication at Harvard University and the University of California. The project is being carried out from the Faculty of Law and the Library of the Radboud University, and we have found support in the Faculties of Law in Leiden and Amsterdam, and in the Libraries of Delft, Leiden, Groningen and Wageningen. Grew up in the USA (1958-62), London (1962-65), Netherlands (65-71) and Brussels (71-76). International Baccalaureate at the European School in Brussels. 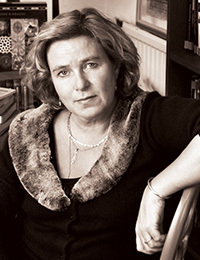 1992-2012: director and founder of Amsterdam University Press, the academic, international press of the University of Amsterdam. Currently circa 20 employees, circa 200 books and 8 (open access) journals a year. 2008-2011: coordinator of the EU project Open Access Publishing in European Networks (www.oapen.org). OAPEN aims to promote the quantity, visibility and usability of European research in an Open Access environment. As business models in the academic publishing world are rapidly changing, and since there seems to be a vast need within academia to explore new ways of disseminating academic research results that are primarily funded with public money, I started my own business in 2012, Sampan – academia & publishing. I am now working with and for the Royal Netherlands Academy of Arts and Sciences, the National Library of the Netherlands, the Centre of Science and Technology (CWTS) at the University of Leyden and the libraries of the Radboud University of Nijmegen and the University of Leyden. 'The Role of the Woman as Maecenas in the Creation of Medieval Dutch Literature' in Tijdschrift voor Vrouwenstudies, 1981. 'The Filming of De donkere kamer van Damocles: the Scenario by the Author of the Book, W.F. Hermans' in Literatuur: tijdschrift voor Nederlandse Letterkunde 1982. 'Academics and publishers on line' in De Academische Boekengids nr 22. 'Open Access – Towards new academic publishing models: A Dutch perspective' in Logos 3, 2005. 'Open Access and New Publishing models: the position of a University Press'. College for students of Book- and Library Studies at the Universities of Antwerp, March 2005. 'Via Open Access to New Publishing Models: an International Perspective'. Reading during the annual meeting of the Dr P.A. Tiele-Stichting in the Royal Library, 26th of May 2005. The 'Bibliografie der Nederlandse Taal- en Letterkunde' (BNTL) in a Digital Publishing World, Gent, 2005. Association of American University Presses (AAUP): participation in various workshops and panels on the future of (university press) publishing during the Annual AAUP Conferences, June 2002-2011. InCTformatie 2006. Theme conference on Printing on Demand: 'Printing and publishing on demand' – reading and article in InCT, 26 April 2006. 'From sailing boat to steamship: the role of the publisher in an open access environment'. Learned Publishing, Volume 20, Number 3, July 2007, pp. 196-201(6). 'Making the business of translation profitable'. Reading during the International Conference on the translation of non-fiction books, organised by the Netherlands Foundations for Literature, May 2008. 'How long will we still have books in the Humanities?' Leader of a discussion between Sijbolt Noorda, president of the Association of Universities in the Netherlands and Herman Pabbruwe, CEO Brill publishers, SBB Boekensalon, 30 October 2008. 'Monographs in humanities and social sciences moving into Open Access', Research Information, May 2010. 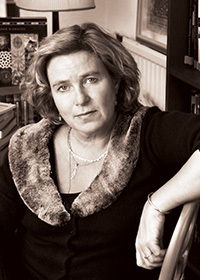 'Broodje Kennis met Saskia de Vries', lunchlezing bij SPUI25, November 2010. 'The future of academic monographs in the humanities and social sciences: a new, Open Access communication model for China and the West.' Hearing for publishers during the Beijing International Book Fair, August 2011. 'Workshop on EC-Funded Projects on Scientific Information in the Digital Age'. Brussels, 14/15 February 2011. 'Statement on Open Access from a University Press Publishers point of view'. EU-Public Hearing on Scientific Information, Luxemburg, 30 May 2011. 'The LERU Roadmap towards Open Access'. Co-author of this position-paper by the League of European Research Universities (LERU), presentation Brussels, 17 June 2011. 'The future of Monographs – a new publishing model in Open Access', reading at a conference organized by the Swedish Publishers Association, Stockholm, November 2011. 'Presentation and discussion on Open Access for academic publications and data' for academics at the NIDI en NIOD (institutes of the Royal Netherlands Academy of Arts and Sciences), December 2011. 'No lock on discoveries in science', opinion article in national newspapers NRC-handelsblad en NRC next, 2 march 2012. Interview over de verfilming van De Donkere Kamer van Damocles in het VPRO-NTR TV-programma Andere tijden - De werkelijkheid van W.F. Hermans, 28 oktober 2012.